I really like this photo because it shows the interesting eyes of Dendroides canadensis. 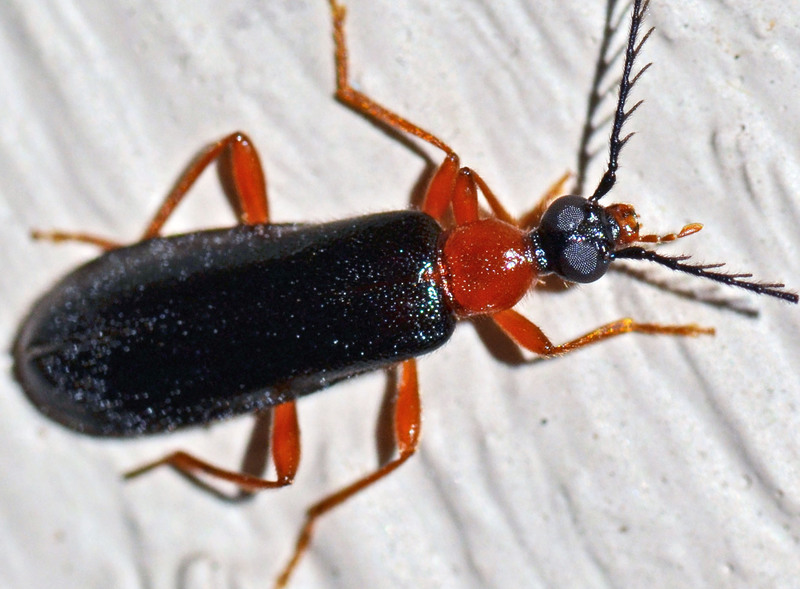 The length of these night-active fire-colored beetles varies from 7 to 16 mm. The genus has six different species in the US. The second link is a paper reporting that "larvae of the beetle Dendroides canadensis produce a family of 13 antifreeze proteins" that enhance one another's activities. Click here for a higher resolution version of the photo.